Dark Parables: The Match Girl’s Lost Paradise is a gorgeous rendition of the classic story of the Little Match Girl, but this little girl won’t flicker out in the night’s cold air. Beware her fiery powers as you pursue her through an enchanted landscape. Dark Parables: The Match Girl’s Lost Paradise is everything you’ve ever come to expect from Blue Tea Games and the Dark Parables franchise. It’s breathtakingly beautiful in every way. There are scenes so pretty I got lost in them. Just look at how sparkly that night sky is! Anyhow, this Dark Parables game, takes inspiration from that story, but this little match girl is anything but willing to lie down and die. She apparently has been selling matches to some not very nice people and then laughing like a crazy person as they burst into flames… or at least that’s what it appears is happening. It’s up to you, as the detective on this case to get to the heart of the matter and figure out what the heck is going on. 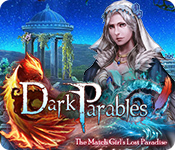 Dark Parables: The Match Girl’s Lost Paradise is available in a Collector’s Edition at the moment, but you won’t have too long to wait for the standard edition to come out, if you’d prefer to not splurge on the CE. Although, it’s so hard to resist with a Dark Parables game as they usually make it worth your while with a lot of bonus goodies. This game is no exception as you have a bonus chapter to play, some beautiful concept art and wallpapers and music, as well as an integrated Dark Parables: The Match Girl’s Lost Paradise Walkthrough. The game is available to play in 3 difficulty modes, casual, hard, and insane. 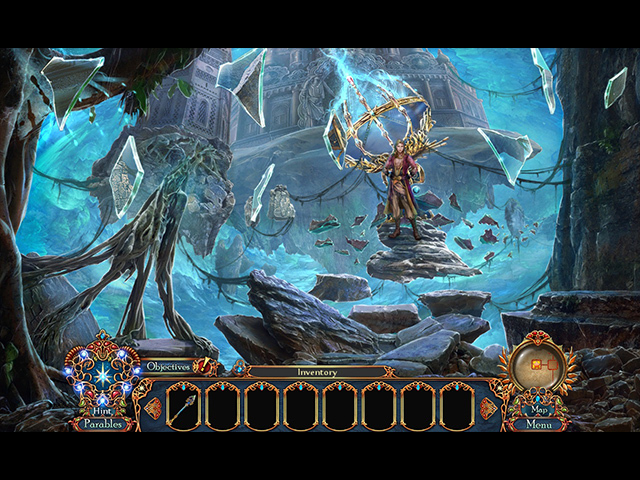 You can also customize your play style, a feature we’ve been seeing a lot of lately in the hidden object puzzle adventure games. You can play an entire 90 minutes for free if you’re not sure you’re ready to pull the trigger on Dark Parables: The Match Girl’s Lost Paradise. Just click on the “install” button above to get started! Dark Parables: The Final Cinderella Arrives May 23! Exclusive Sale: Dark Parables: The Red Riding Hood Sisters only $1.99!